This interview is a serious throwback but has been one of the biggest eye-openers for me. Because I had this conversation with Max when I was in middle school, I have really become infatuated with the public health and epidemiology fields. The reason I decided to post this interview now is that I have been accepted into the Center for Disease Control’s Disease Detective Summer Program and in my essay, I referenced this conversation. Listen on to see why I Had to Ask. During the summer I interviewed Daniel Hamburg, after the interview Hamburg won a Student Emmy award for the show he produces, “Focal Point.” Listen on to see why I Had to Ask. 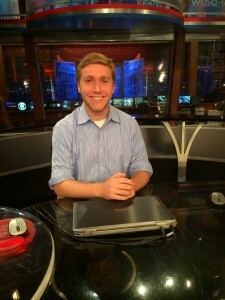 I talk with a Spanish and Economics major, Dylan Flaks who during the summer participated in a “think tank” in Madrid. Dylan also speaks 4 languages. Listen to this podcast to hear some tips on learning a new language and a little bit about his trip. I spent my summer at camp and got to know a man I call Dr. Steve, you can imagine my surprise when I discovered that the guy treating my ear infection was actually a leading pediatric neurologist. I knew had some questions I had to ask.